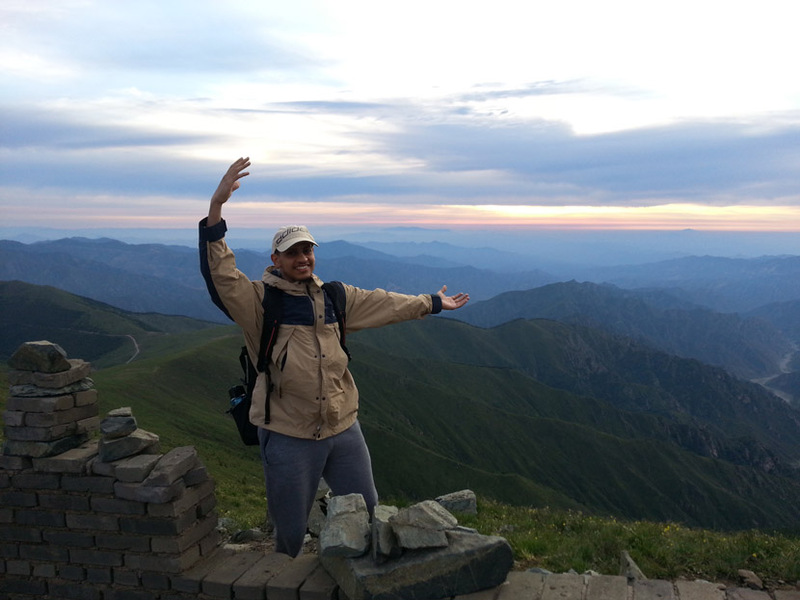 Mohammad Almagweshi ’18 arrived in Beijing this summer with “zero” knowledge of the language. So the chemical engineering major had to rely a lot on his IES friends to show him around and order food. ﻿ Until one Friday night, when - equipped with what he had learned from his friends and the Mandarin language classes he was taking – Mohammad ventured into an alley that had a restaurant on every corner. He walked up to curry place, and spoke the Mandarin words for "I want chicken breast curry over rice." The workers understood him. They asked if he wanted the order to go. Mohammad understood them -- and said yes. “That simple encounter made a huge difference in my Chinese learning,” Mohammad said. 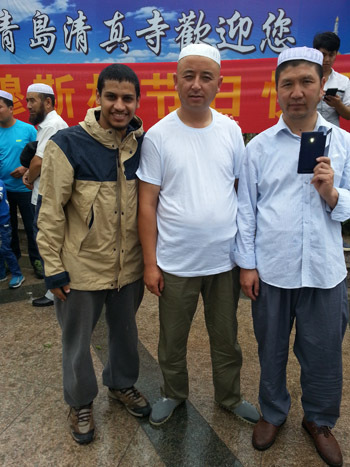 “That night marked one of many encounters with Chinese that I had later on as I learned more words and phrases.” The photo at left, for example, was taken in QingDao during the celebration of Eid Al-Fitr. Mohammad was in Beijing as part of the Beijing - Summer Language Intensive program offered through IES. He took the equivalent of two language courses and a Chinese history course to satisfy his humanities electives here. But he came back with much more than a handful of credits to count towards his major. He also learned some things about himself. For example, two of the things that worried him most – getting his visa application done and a medical report – were taken care of in a single day. Mohammad took this selfie at The Forbidden City in Beijing.